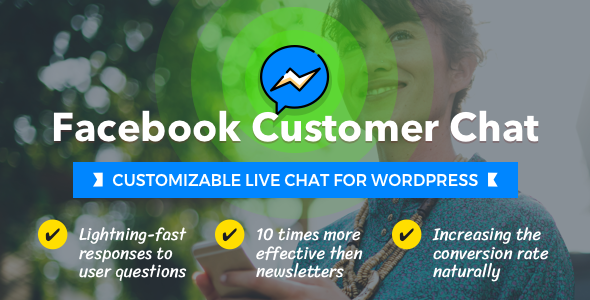 Advanced Facebook Customer Chat is a premium WordPress plugin that allows you to integrate your Facebook Messenger experience directly into your website. This allows your customers to interact with your business at any time using the same personalized multimedia interface that they receive in Facebook Messenger. Installation usually takes 2 minutes.